Bi-Rite ice cream is intense. 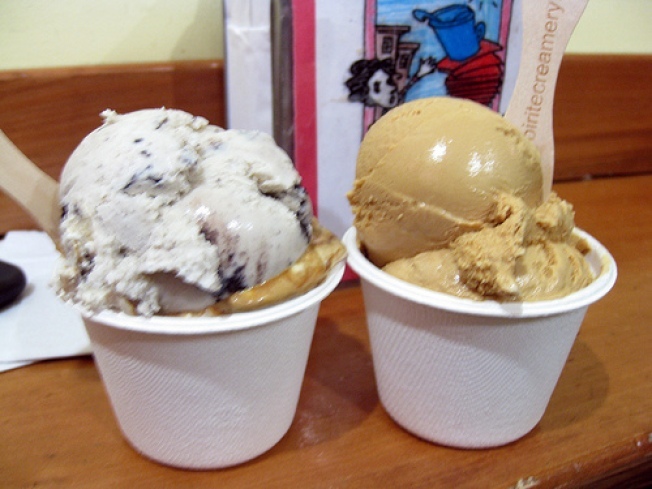 Bi-Rite Creamery teased us by promising to accommodate more of us inside and more of us outside. The promise of opening a street side soft-serve window has been delayed at least twice. and marks the occasion by serving free ice cream. Yum. Maybe Bi-Rite should have more technical glitches.